Home Lifestyle	Santa? Is that you? 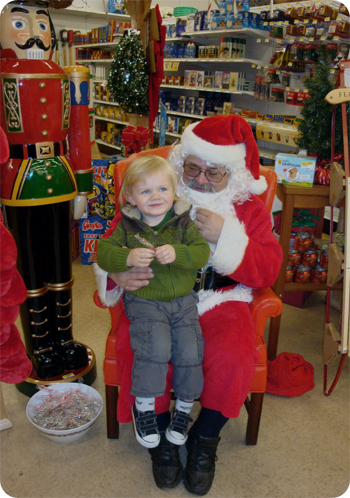 This year, we decided to take Oscar to see Santa at our local hardware store. It was just weird enough, close enough and NOT THE MALL enough to draw us in. 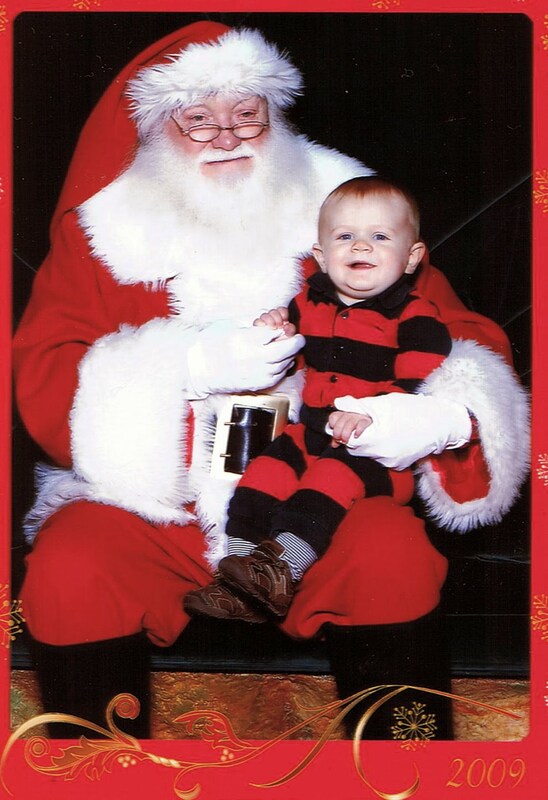 Since we don’t really go all out for the Santa stuff anyway, I don’t really care if he looks the part all that much. We walked around, bought a dowel and some screws, saw Santa and had hot chocolate and brownies. And while Oscar wasn’t exactly EAGER to climb atop the lap of our bearded friend, he was a good sport. You know, because he got candy. From a stranger. How are we cool with this again? I digress. Look at him just a year ago! What a difference. looking at these side by side, i can see why people make such a fuss over Mall Santa’s: look at that guy! is that a real beard? white gloves, too? very classy. Hardware Santa needs to step up his game. oh, and Oscar is adorable!! but Oscar, what a little precious! and he doesn’t seem to mind. I am totally on board with this idea … I couldn’t hate anything more than the malls at Christmas and the lines … o the lines! When our day comes, we’re totally hunting down a local Santa (I hear he visits our city hall the first saturday in december two blocks from our house downtown) and enjoying some LOCAL talent and holiday yumminess … and way to kill two birds with one stone! 🙂 Merry Christmas!